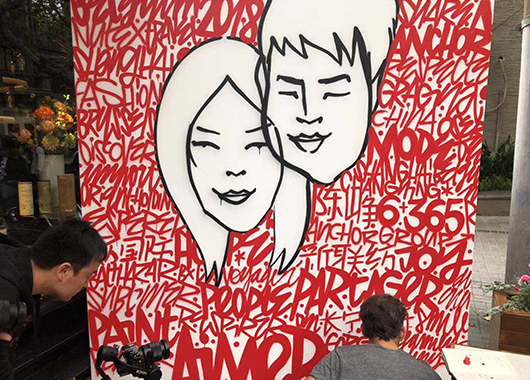 The Anchor Group invited the Belgian artist Denis Meyers to join them at the 1st China International Import Expo (CIIE) and asked him to decorate during CIIE the Belgian, Uniquely Phenomenal feature walls at The Anchor Group booths. In addition, Denis Meyers performed live during the Belgian Night at M1NT on 3 November and on 4 November 2018 at the opening of Gracina Life 3+365 at Nutex’s new showroom. The Anchor Group will assist Denis with the organisation of an exhibition of his work in China in late 2019. Watch the reportage made by the crew of Belgian, Uniquely Phenomenal during Denis’s stay in Shanghai.